Tackle tough work tasks and DIY projects alike with the 2019 GMC Sierra 1500 Limited. The capabilities of this light-duty pickup make it easy to transport equipment to and from the job site while enjoying modern conveniences inside the cabin along the way. Let’s find out what else the Sierra 1500 Limited has to offer. A 5.3L EcoTec3 V8 engine powers the Sierra 1500 Limited, kicking out 355 horsepower and 383 lb.-ft. of torque. Hitch your flatbed trailer or family camper to the pickup and tow up to 9,400 pounds. Standard and available trailering systems, such as Hill Start Assist, Trailer Sway Control, and Hill Descent Assist, help you haul heavy equipment with complete confidence. Access the bed of the pickup via the textured CornerStep rear bumper and load up about 1,800 pounds of cargo. The EZ Lift and Lower tailgate use an internal torsion bar to reduce the effort needed to open and close the truck bed, which you can lock and unlock with your key. And when the sun goes down, available LED cargo box lighting helps you see your cargo. This truck makes cruising comfortable. Available dual-zone automatic climate controls allow the driver and front-seat passenger to customize their temperature settings, while available heated front seats provide ample warmth if the temperature drops. Keep connected to friends and family en route without picking up your smartphone. With your eyes on the road ahead, you can make phone calls and send text messages using Apple CarPlay™ and Android Auto™. The standard 7” touchscreen digital infotainment center displays your favorite smartphone apps, from music and podcasts to navigation directions, while available built-in 4G-LTE Wi-Fi keeps you and your passengers connected. Are you searching for a durable light-duty pickup? Find the 2019 GMC Sierra 1500 Limited for sale in West Palm Beach when you stop by our dealership. Check out our selection of new GMC cars for sale or call our sales department for more information. 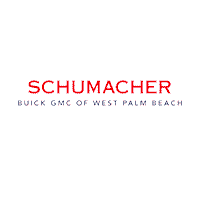 Schumacher Buick GMC of West Palm Beach	26.70722, -80.102065.